Last Thursday, I voted to keep the Legislature working so we could pass a fully funded budget, provide access to affordable healthcare to all Alaskans through Medicaid expansion, and meet our constitutional duty to adequately fund public education. Instead, the House and Senate Majorities passed resolutions by straight party line votes that allow the Legislature to take a recess until May 12th. Senate and House Finance Committees will continue to meet, but the Legislature will not convene a floor session until May 12th. Yesterday, the Legislature adjourned by passing a budget that does not provide access to affordable healthcare to all Alaskans through Medicaid expansion and does not meet our constitutional duty to adequately fund public education. 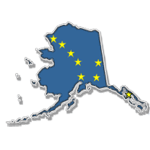 In addition, the budget provides only partial funding for next year and does not reflect the legislative consensus that the Alaska Constitution demands in challenging fiscal times. This Legislature needed to make smart cuts to the budget, but the cuts approved only by the majority are not in line with the interests of the people of Alaska, the Governor, and the Independent-Democratic Coalition. Today is the 91st day of the legislative session. Over the past two weeks, I have received countless emails and letters from Alaskans across the state and within our district about several major issues. It is inspiring to hear from so many Alaskans, keep up the good work! In this newsletter, I want to let you know what the Legislature should address before we can head home, and my view on the issues that have received so much public attention. We are quickly approaching the final days of session. The Legislature has several issues that we need address: Operating Budget, Capital Budget, Medicaid reform and expansion, and gasline legislation. These final days get very busy, we’ll do our best to keep you updated about legislative happenings. 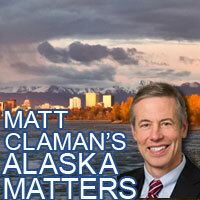 Please check my Facebook and [twitter.com/mattclaman]Twitter pages to stay informed on a daily basis. The countdown is on to the end of session. The budget remains the largest issue for the Legislature this session. In this newsletter, I have included the final results from our constituent survey. Thank you to all who responded! I hope everyone has a great Passover and Easter weekend. And please be sure to vote in our local election! Thank you to everyone who attended my Constituent Pizza Party last weekend with Senator Costello and Representative Vazquez. It was great to reconnect with many West Anchorage friends and neighbors. With 24 days left in the 90 day legislative session, we have lots of work ahead. The conversations from last weekend will help guide many of my decisions as your representative in the weeks ahead. On Tuesday, Governor Walker introduced a Medicaid expansion and reform bill. Earlier this session, I explained in this electronic newsletter why I support increasing access to affordable healthcare to more Alaskans while boosting our state’s economy. Over 75% of those who responded to our constituent survey support Medicaid expansion. I will continue to support Medicaid expansion for those reasons.